Giovanni Battista Tiepolo, St Jacobus defeats the Moors, 1749-50. 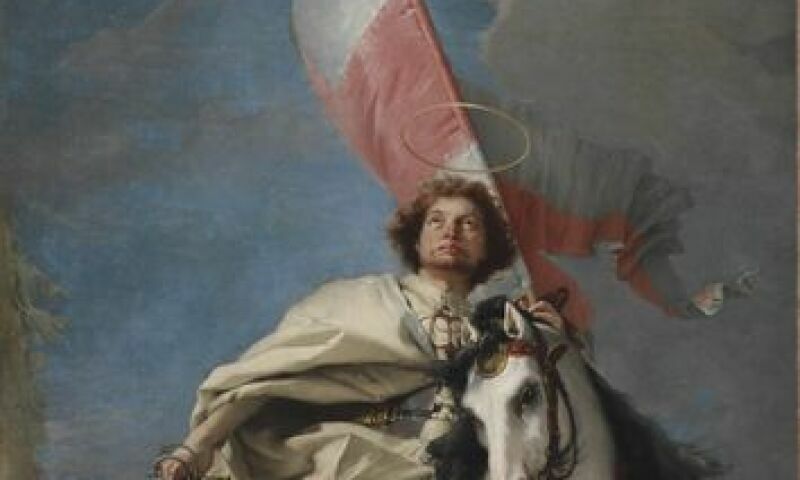 The Staatsgalerie Stuttgart marks the 250th anniversary of the death of Giovanni Battista Tiepolo (1696–1770) on 27 March 2020 with an exhibition devoted to the great Venetian master. The exhibition showcases the outstanding Tiepolo holdings of the Staatsgalerie in the wider context of a selection of international loans of paintings, prints and drawings. The presentation is the first in the German-speaking countries to cover the entire span of the artist’s career and to present his oeuvre in its true diversity of subject matter, genre and technique. The exhibition has its starting point in the three paintings in the collection of the Staatsgalerie, among them The Rest on the Flight to Egypt, one of Tiepolo’s most unusual creations, painted in Madrid towards the end of the artist’s life. They are complemented by the Staatsgalerie’s sizable holdings of Tiepolo drawings. The exhibition brings together paintings of mythological and historical subjects as well as examples of his all too often underrated religious compositions. The presentation sheds light on Tiepolo’s virtuoso storytelling and his captivating visual language, which combines elegance and theatricality with sly humour and even caricature. Of particular interest is the importance Tiepolo accorded to imagination, illusion and irritation. The exhibition seeks to initiate a reassessment of the artist’s oeuvre, to focus on his boundless creativity and imagination and to shed new light on his significance at the threshold between the Baroque era and the Enlightenment.